Medium: Tortoiseshell with original key, gilt-bronze ornamentation and carved rock crystal. Shelved sycamore interior. 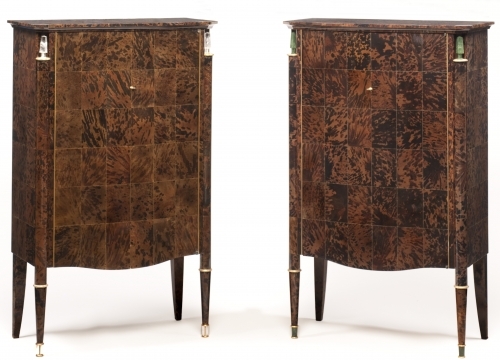 Considered in their time as meubles d’exception, these two single-door cabinets in tortoiseshell designed by Jules Leleu represent a landmark achievement of the French Art Deco. Classical in shape and expertly executed, these two cabinets were specifically created for two of Leleu’s most important Parisian clients. The tortoiseshell, exceedingly rare, is placed in tiles on the exteriors of the cabinets. 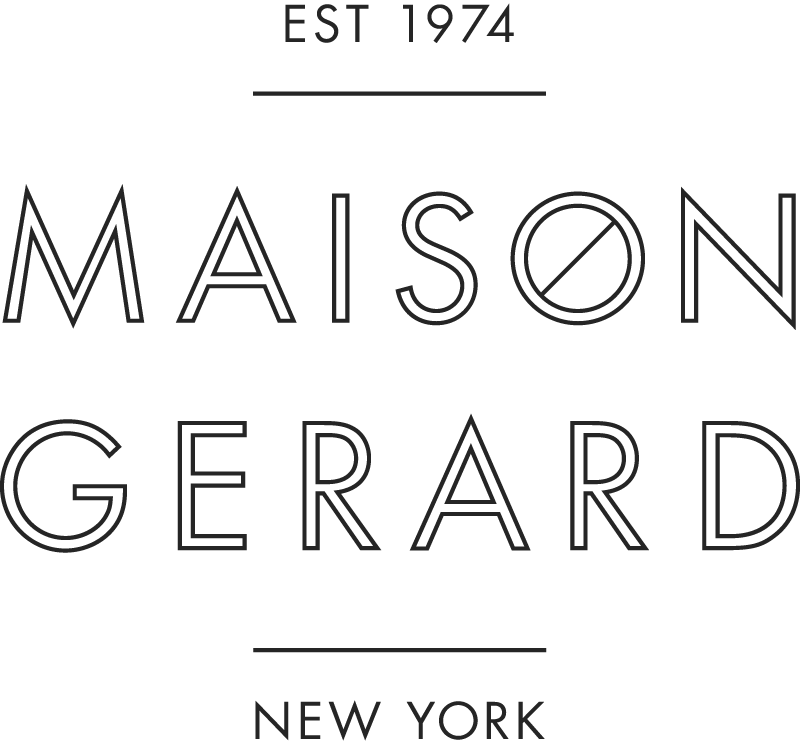 Imported from the French South Pacific territory of New Caledonia, the tortoiseshell is an extremely fine material, the presence of which makes these cabinets more than exceptional. The pairing of the jade and rock crystal accents with the tortoiseshell construction is truly unique. These differing elements were developed by the most skilled craftsmen of the time—Maison Bonnet for the tortoiseshell and Hervé Obligi for the stone. The other cabinet, featuring rock crystal, was created for M. Frilet, one of Leleu’s foremost clients, and was probably delivered in 1957. Frilet was so enthused with the work of Leleu (and that of Jules in particular) that he became an avid collector of Jules’ designs upon the patriarch’s death in 1961. 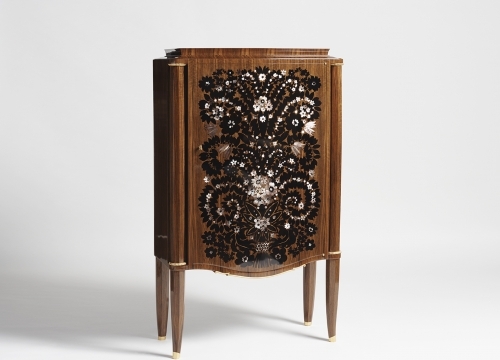 What is truly intriguing about this cabinet is the visibility of the gilt bronze screws holding the rock crystal accents in place, making for a sophisticated and unique presentation. The design of these cabinets was duly recognized in its time. The one featuring rock crystal (or an identical, possibly from André’s personal collection) was used as a prop in the films En cas de malheur (U.S. title: Love is My Profession), 1958, and Le repos du guerrier (U.S. title: Love on a Pillow), 1962, both starring Brigitte Bardot.